What was I up to last month? I certainly wasn’t posting anything here. Sorry for that, but writing is a zero-sum game, so time I spend writing blog posts is time I’m not spending writing books. And I did do a lot of that last month. 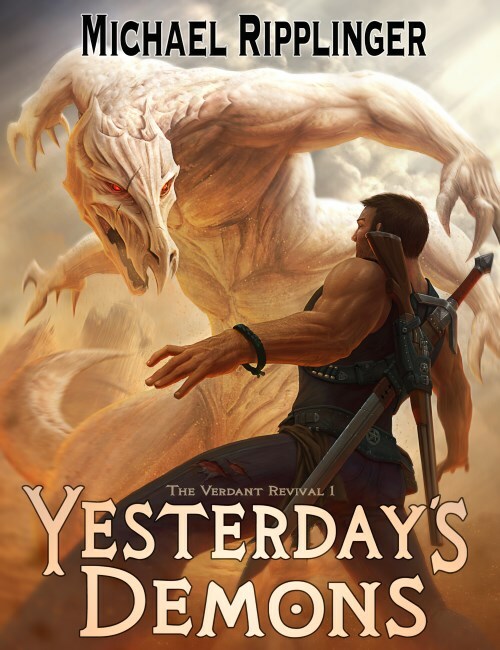 At the beginning of November, I finished the third draft of Yesterday’s Demons and estimated I had completed about 3% of the outline for book 2 of The Verdant Revival. What say you now, Project Tracker? There are two big bits of news there. The first is that Yesterday’s Demons is now in the hands of my editor. I should have her notes back before the end of the year. The second big bit of news is I jumped from a 3% complete outline of Verdant Revival 2 to a 5% complete first draft. I’m still a little amazed at that one. I knew I had most of the book’s outline in my head, but when I finally sat down and committed it to bits and filled in the missing scenes, I learned the version in my mind was pretty much first draft ready. Armed with a completed outline, my whole brain just went “What the hell?” (to borrow a phrase from the Doctor) and I jumped right in. As my beta readers and those who have read the book’s summary know, Yesterday’s Demons is the story of blacksmith Siv McCaig. His quest to learn the truth about what happened on the most traumatic night of his life leads him into a battle for his planet’s survival. Along the way, he meets his two new best friends: siblings Fritz and Cassie Reinhardt. But there’s one interesting aspect to The Verdant Revival I haven’t yet shared: Siv is the main character of Yesterday’s Demons, but the main character of Book 2 is Fritz, and Cassie gets the focus in Book 3. I mention this now because while I’m having a blast revisiting Siv, Fritz, and Cassie and seeing what they’re now up to, the tone of Book 2 is much different with the focus now on Verde’s intuitive genius. I know this “shifting star” approach is a bit atypical for fantasy trilogies, but I think you’re going to like it.